Since tea was first brought to Japan over a millennium ago, the art of growing, blending, and serving tea has been continually refined generation after generation to suit the tastes of the connoisseurs of the age. The world of tea is constantly changing, mirroring the cultural trends of the times. Over the centuries, Japanese tea masters and gourmet connoisseurs have directed their exquisitely refined tastes to the creation of a great variety of teas, including not only the green teas for which Japan is most famous, but also black teas, herbal teas, and flavored teas. 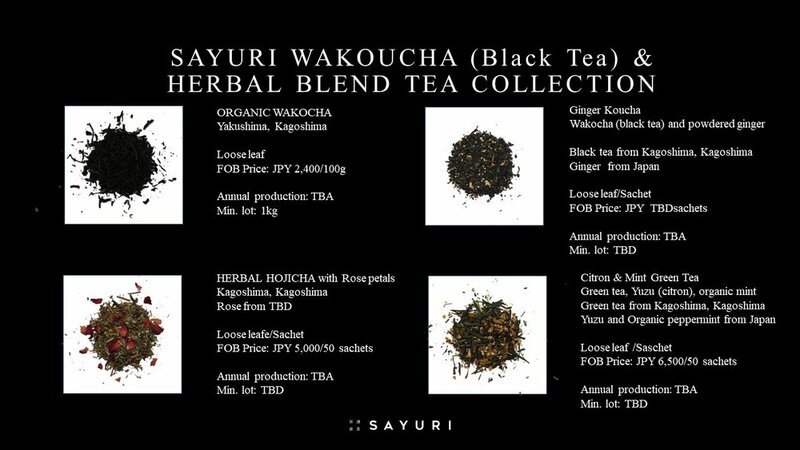 Sayuri Premium Teas is a selection of masterpieces of Japanese craftsmanship from every area of the world of tea. Our collection includes teas sourced from the finest terraces in Japan, and also blends carefully selected from the world’s top growers by Japanese artisans and hand-crafted into unique teas to delight the Japanese palate finely-attuned to the subtle nuances of aroma, flavor, umami, and texture. 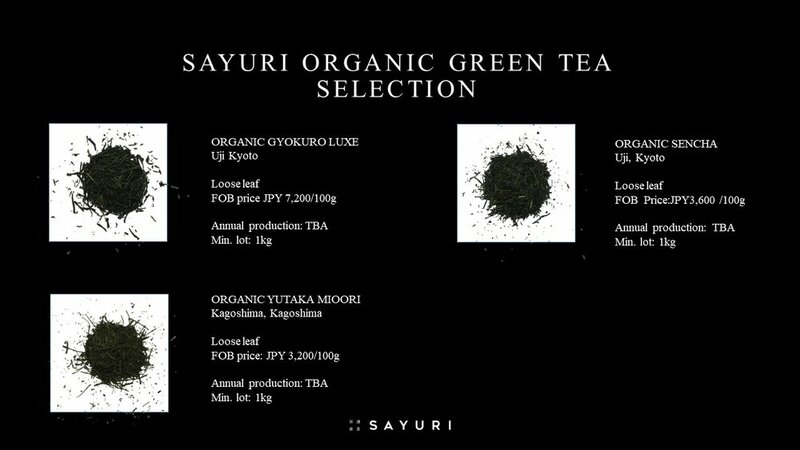 Sayuri Teas presents to the world the extraordinary spectrum of the very best teas grown and crafted in Japan today. We introduce the gourmet connoisseurs of the world to a new and exclusive experience of the full range of Japanese teas – from storied green teas with nearly a millennium of history to masterfully blended flavoured teas created by the leading Japanese tea artisans of the 21st century. Much like coffee in the West, green tea is a fixture of Japanese life, with blends for every occasion from daily use to those served only to very special guests. The key to experiencing green tea properly is selecting the finest-quality leaves and cultivating the proper technique for brewing each bowl. With a mastery of these two points, the world of green tea presents itself in its full potential as a beverage that can be taken casually anytime during the day, with a meal, or as a sophisticated way to welcome your guests. 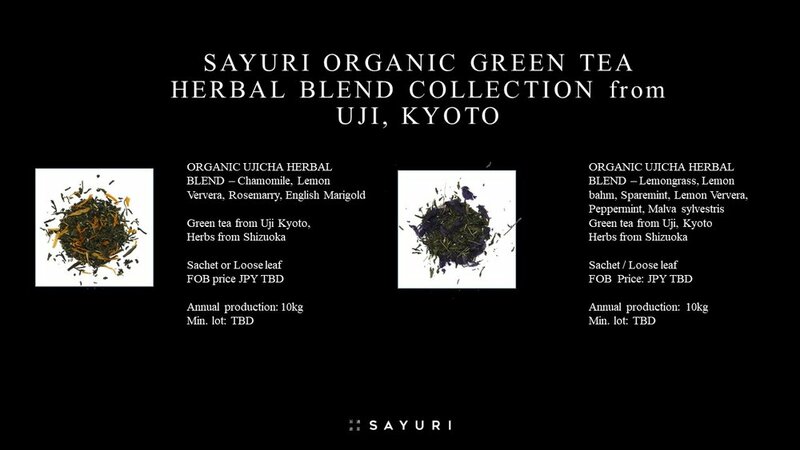 Sayuri celebrates the diversity of the world of green tea with a wide-ranging selection of quality teas for every occasion and palate – from the mild-tasting roasted hoji-cha, to the mellow dance of green and nutty aromas of genmai-cha, the refreshing flavor and sharp aftertaste of sencha, and the sophisticated creaminess of matcha. We also offer the world’s first premium bottled green tea, painstakingly extracted using cold brew dripping techniques. Carefully crafted by master artisans to bring out their full flavor and distinctive profile, our loose leaf, sachets, and luxury cold brew icedrip green teas bring you the sophisticated daily luxury of authentic gourmet green tea.